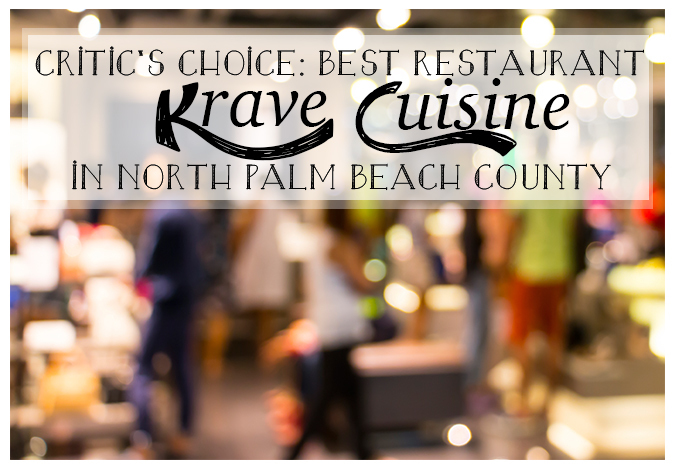 This Tequesta Restaurant Earned Critic’s TOP Restaurant Choice in North County: KRAVE! Friday, October 9th, 2015 at 12:27pm. Chef Michael Rolchigo executes incredible and masterfully prepared dishes that have gained such recognition in town that reservations are required to dine. Some of the dishes Krave has been commended for include a traditional and elegant French Bouillabaisse that is served with a Pernod mister at the table, a Colorado rack of lamb with a pistachio crust and the freshest local catch.